Have you guys ever read any military PDF's online? Are they useful at all? Definitely worth reading and storing for reference. I've got about 60 gb of PDFs copied onto several drives. Some military, some not. 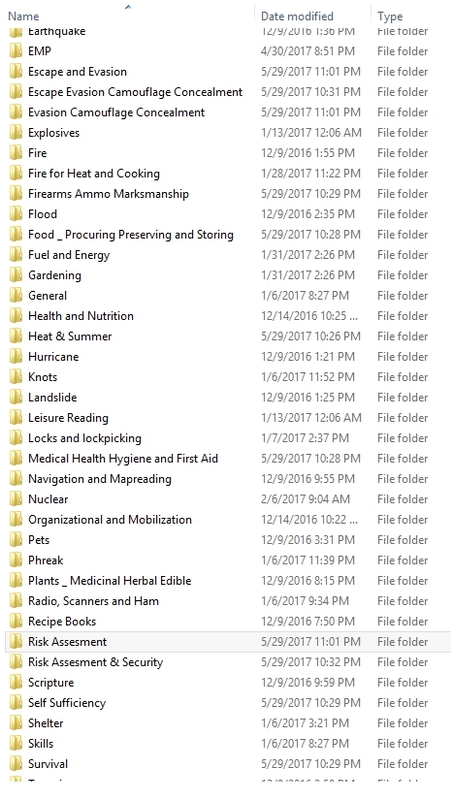 Medical, homesteading, farming, firearms manuals, food & water, combat, escape & evasion, gardening, weather, explosives, recipes, ad nauseum ad infinitum. Hey back pack hack, have you got a website or a depository you'd be happy to share those files with? Sent from my iPad using Technology before it is shut down. I'd love to make it available online, but it's virtually impossible to maintain the file managers's structure to keep everything organized. Even DVDs can only hold 4.7 gb, so that would require 13 DVDs. Short of buying 64gb memory cards and shipping them out individually, I don't have the technical guru skills to copy everything online womehwere and make it available to the masses. Copyright is not an issue as everything is public domain. If anyone knows how I could upload this somewhere, let me know. It may take 2 weeks to upload it all, but I'm sure everyone would enjoy a copy. A Watchman and ntxmerman like this. 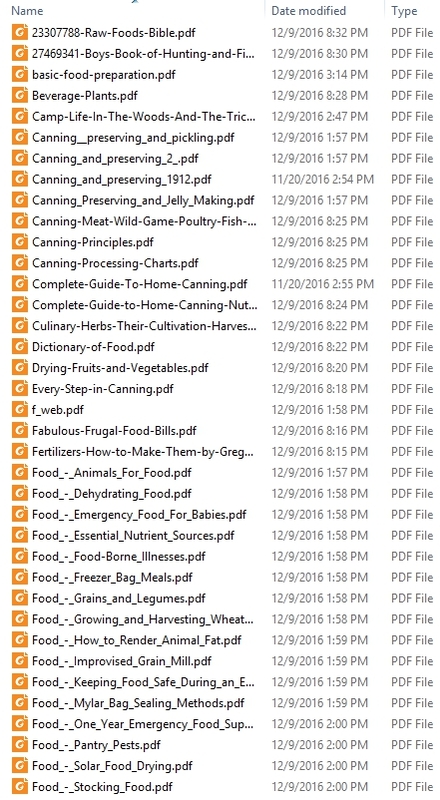 https://www.prepperforums.net/forum/c...c-library.html I have been downloading for years now and started selling it on DVD. I generally don't like to put fillers in there just meat and potatoes. I often upload pdf's to a thread to help it out. What are you looking for specifically. It can get very time consuming to be downloading a lot of files, fyi. It is often cheaper and better time management to just buy a library like mine or who ever. After some recommendations I am going to offer a memory stick/thumb drive instead of just a DVD but it will add to the price. A Watchman and Prepared One like this. Back Pack, wanna trade even up? We can come to an agreement about the best fair way to get your library shipped thru private message if you want to trade. My library is easy a DVD and $2.70 shipping, LOL.